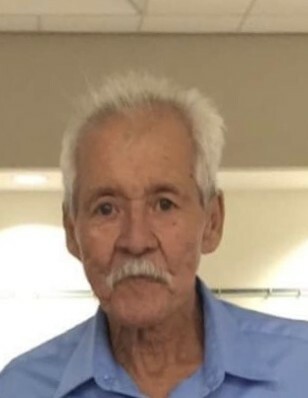 Frank Ruiz Altamirano Jr., 77, of Beeville, died Friday, July 27, 2018, in Beeville. Mr. Altamirano was born Oct. 6, 1940, in Runge to Anita Ruiz Salas and Frank Altamirano Sr. He married Mary on Sept. 8, 1975, and was oil field driller for more than 30 years. He was a Catholic and enjoyed music. He was preceded in death by his parents; a daughter, Arlene Leal; granddaughters, Briana and Ashley Altamirano; and a brother, George Altamirano. Survivors include his wife, Mary Altamirano of Beeville; three daughters, Ira-Ann Garza and Jewlisa Altamirano, both of Beeville, and Ruby (Eugene) Villanueva of Kenedy; four sons, James Altamirano of Runge, Ernest Altamirano of Pasadena and Frank Altamirano III and John-Jason Altamirano, both of Beeville; sisters, Lola Garza and Cecila Mendoza, both of Runge, and Julie (Juan) Dominguez, Mary Moreno and Dalia Altamirano, all of Corpus Christi; brothers, Raul (Santos) Salas and Silvester Salas, both of Runge, Severo (Susana) Salas of Nordheim, Frank Altamirano and Christopher Altamirano, both of Corpus Christi, and Mario Salas of Runge. Visitation was held from 4 to 9 p.m. Monday at Treviño Funeral Home with a rosary recited there that evening at 7 o’clock. The funeral Mass was celebrated at 10 a.m. Tuesday at St. Joseph Catholic Church with Father Richard Gonzales officiating. Burial followed in Our Lady of Victory Cemetery #2. Pallbearers were Eugene Villanueva, Ernest Altamirano, Michael Ramirez, David Benavidez, Bryan Leal and Joe Anthony Garza. Honorary pallbearer was John Bry Garza.